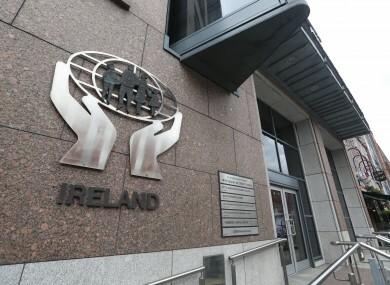 THE CENTRAL BANK has released a consultation document that suggests credit union members should take savings above a certain level and put them in banks. In the paper, the Central Bank says that credit unions should limit members’ savings to €100,000. That means that credit unions would be obliged to tell members move the surplus to other institutions. There is no reasoning given for the idea in the paper, but it is believed that credit unions have been advised it is designed to limit the exposure of the state in the event of a credit union closing. The document, which proposes a host of new rules on reserves, liquidity, lending, investments, and borrowings, is under consultation so, officially speaking, all sides are keeping quiet. The Central Bank says that it will not be commenting while the public is still submitting views. The Irish League of Credit Unions (ILCU) says they will be involved in the process. The Department of Finance say that they are considering making a submission. Sources within the movement say that concerns have been raised for a number of reasons and that a case may be taken to Europe. Some in credit unions argue that an arm of the state arguing that one business be directed to send customers to a competitor constitutes state aid. Under the Department of Jobs and Enterprise guidelines, measures should not give advantages to any entity, should not favour any entity and should not distort competition. They are also fear that if members are told to take the surplus savings out, it will send a negative message to members about the ability of the credit union to survive. It would also impinge on a credit union’s ability to lend. Because they lend based on their assets, a removal of large amounts of savings would limit their ability to give out loans. Read: Are Credit Unions and An Post teaming up to take on banks? Email “The Central Bank wants to limit how much you can save in a credit union”. Feedback on “The Central Bank wants to limit how much you can save in a credit union”.